We love to take pictures of ourselves. We love youth. So, its only a matter of time that we get an app that looks at our selfies and answers the age old question: do I look old? 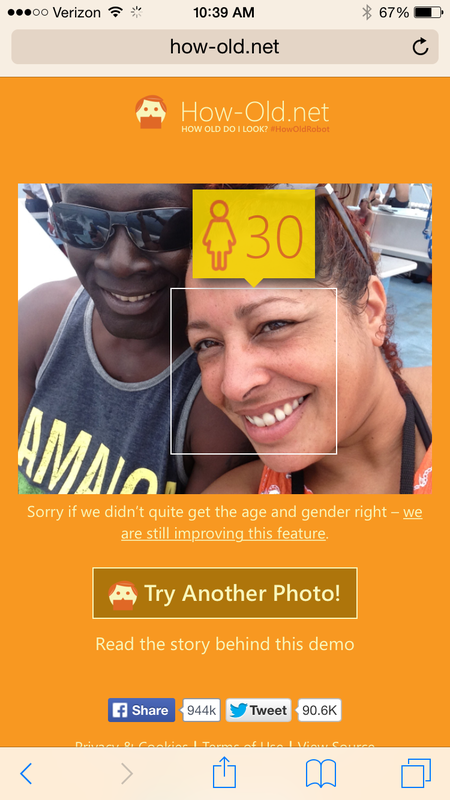 How-Old.net is a simple site that allows you to choose a picture and, using facial recognition software, it will guess your age. While trying to find a picture that would tell me I looked young, I found something interesting. 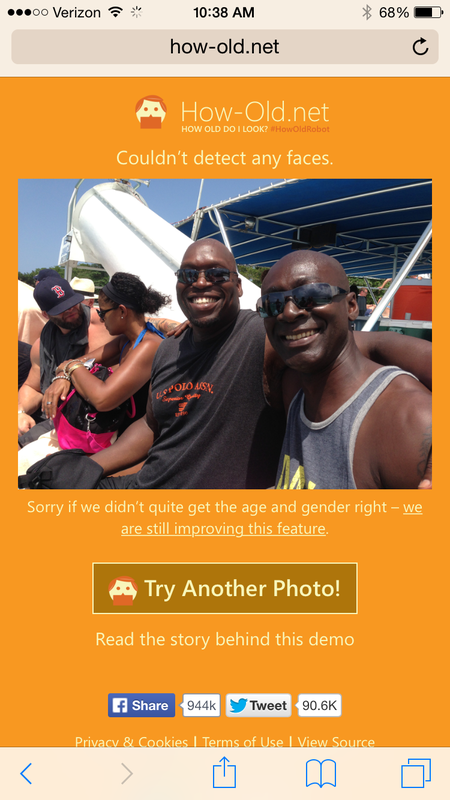 The site told me I was not-so-old (great!) but at least it could see me–my Ghanian husband: not so much. 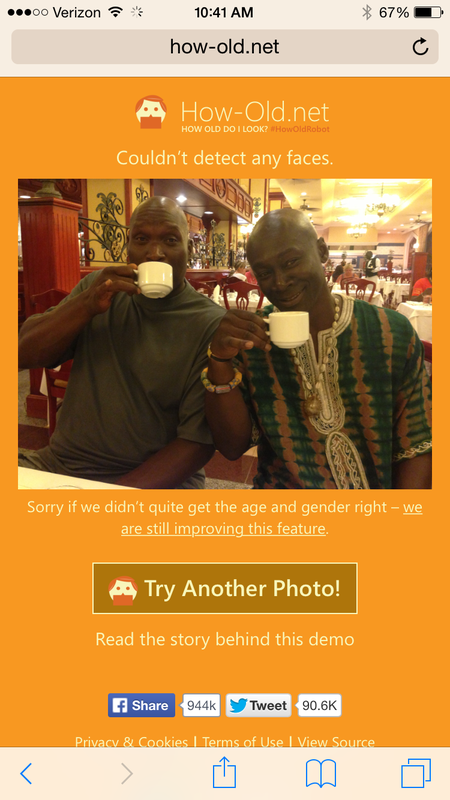 Or sipping cappuccinos with pinkies up, the app couldn’t recognize my fabulous husband or his friend. It’s bad enough that black lives have to demand that they matter to be visible. Now they are erasing us from our selfies? That’s very odd. And a little unsettling. Hmmmmm…….very strange. Photography, like a lot of things, was not designed with us in mind. Next Post Dogs End Racism!